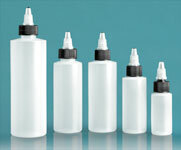 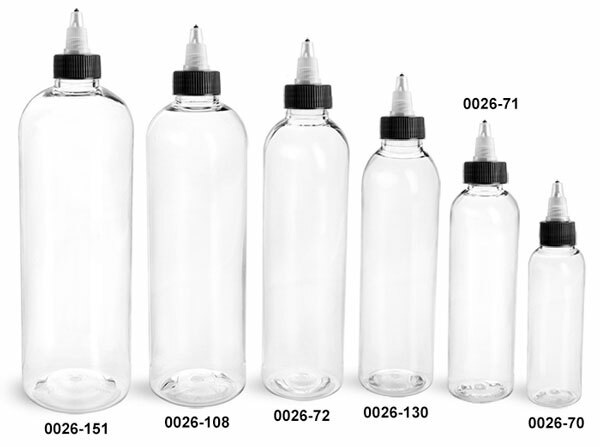 These clear PET cosmo round bottles could be ideal for dispensing a variety of products such as inks, adhesives, and industrial products. The clear plastic bottles include black LDPE twist top caps with natural tips. 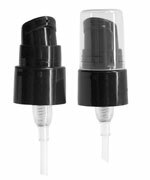 Simply twist the tip counter-clockwise to expose the orifice; twist it clockwise to close the cap when not in use.